An assured, memorable debut novel from a prize-winning poet. An assured, memorable debut novel from a prize-winning poet. Hannie Bennet is a survivor. No jobs or careers for her. Her route through life is marriages. As her fifth husband, she picks Ned Renvyle, explorer, writer, gentlemen farmer. She has her troubles and needs his help. She knows that a gentleman such as he will stand by her, whatever she does. But his house is in Ireland, in the depths of the countryside outside Cork, and the life, the society around her, is very different from anything she has ever experienced. Most of her previous life was with expats in Africa and the Far East. The price she finds she has to pay for the security of this marriage is an end to the pretences that have kept her alive for so long. So is that too high a cost? 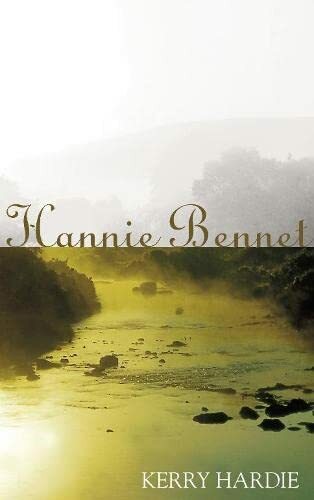 The novel, set vividly in the Irish countryside, is full of memorable characters, starting of course with Hannie. The author is particularly good at depicting the moral dilemmas and unusual solutions.